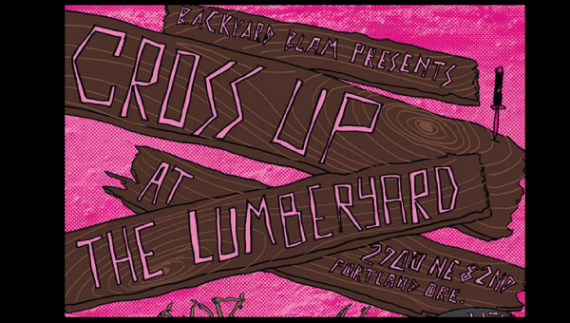 Cross-Up is the sixth event in a series of creative bike events hosted by Amanda Sundvor, an enthusiastic bike rider who wants to bring together bikers of all stripes. Amanda doesn’t play the one-discipline game with her events as she mixes styles and encourages people to try different modes in unconventional settings. She describes Cross-Up as a sort of indoor super-cross. This rowdy event promises to be entertaining for spectators and participants. Winning competitors will be awarded a free bike, but bystanders also stand a chance of scoring the prizes that that will be tossed into the crowd. The course will be a challenging indoor circuit with sweet jumps and just enough variety to mix things up on a very short loop. The event takes place at the , a newly-forming indoor bike park slated to open to the public next summer. There will be food and beer on site. The race fee is $10 and its free to attend and cheer on competitors. Registration opens at 5:00pm. By day Amanda is a bike mechanic at 21st Avenue Bikes in Portland, but in her spare time Amanda is always plotting and scheming the next great event. Amanda says she gets excited by concepts that takes the elitism and attitude out of competitive bike events and help more people have fun on two wheels.